Boeing announced plans to establish a $3 million permanent endowment for scholarships at Embry-Riddle Aeronautical University to assist students interested in pursuing a pilot’s license and certificates in aviation maintenance. 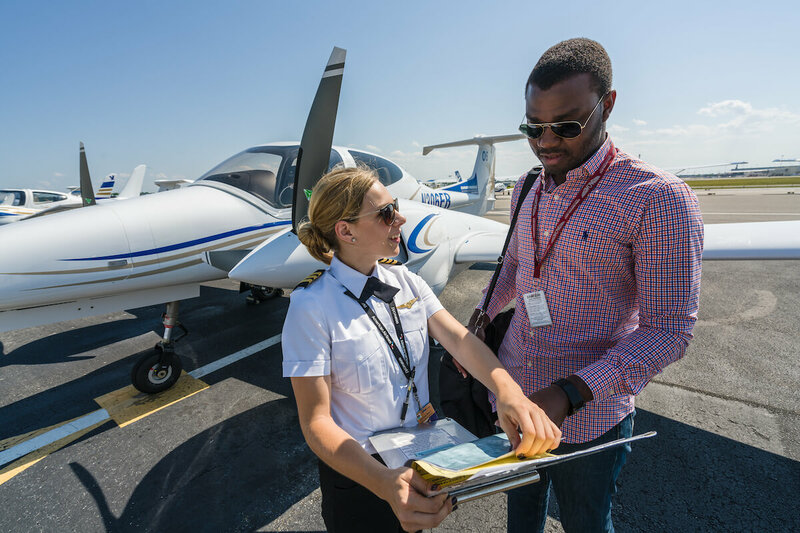 The Boeing scholarships at Embry-Riddle – the premier aviation and aerospace institution – will seek to increase the number of underrepresented populations in the pilot workforce, particularly women and persons of color as well as veterans. Boeing will collaborate with Embry-Riddle to make scholarships available as early as this fall. According to Boeing’s 2018 Pilot & Technician Outlook, the industry will need 790,000 new civil aviation pilots and 754,000 new maintenance technicians to fly and maintain the world fleet over the next 20 years. The forecast is inclusive of the commercial aviation, business aviation and civil helicopter industries. Of the 609,306 pilots certificated by the U.S. Federal Aviation Administration’s Aeronautical Center in 2017, only about 7 percent, or 42,694 are women, according to Women in Aviation International. Statistics on other underrepresented groups in aviation are limited, but a 2014 report suggested that 2.7 percent of U.S. airline transport pilots were people of color, 2.5 percent were of Asian heritage, and 5 percent were Hispanic or Latino. The $3 million award to Embry-Riddle builds upon Boeing’s long-standing support of STEM programs, women, military veterans and minorities.